As one of the best defenses in the league; Top 5 overall, in fact. Bold prediction? Probably so, but, the only direction this defense is trending is UP. The knock on the Green Bay Packers the last decade (excluding last years offensive meltdown) has always been on the defensive side of the ball. According to most, it is the reason why the Packers have one Super Bowl win during the Rodgers era. It’s hard to argue against that point, but there have been some good defensive units in Green Bay over the last decade — just not Top 5 quality. In 2016, that is all about to change and I am going to tell you why. Let’s face it, Mike Daniels is an absolute monster up front. He not only cracked NFL Network’s Top 100 players this season (deservedly so), but he is now the team leader on defense. Not only does he bring a nastiness that this defense needs, but in a scheme where defensive lineman don’t post big numbers, he had 6.5 tackles for loss, and 32 pressures. He outplayed every other lineman by 309 snaps and hasn’t missed a game in two years. 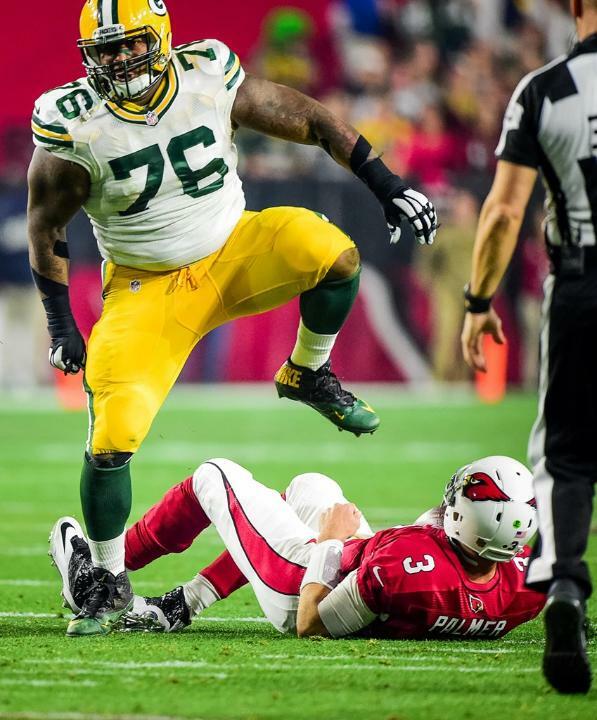 After signing a 4 year, $41 million dollar contract, Mike Daniels is primed for a huge year. BJ Raji has retired, but the Packers are not going to miss much with his absence. They beefed up their interior line with first round draft pick Kenny Clark (UCLA) and will have Leroy Guion next to him on the opposite side. Guion has played the run very well in his time in Green Bay, and if Clark is the player Ted Thompson drafted him to be, the starting defensive line will be very stout — if not the best in the NFL. Add draft pick Dean Lowry (Northwestern), Mike Pennel and Christian Ringo to the mix and this unit has unique depth. Not to mention, Datone Jones can fill in on the line when he isn’t being used as a linebacker. The Packers defense all starts with the pass rush and stopping the run and this unit is going to explode in 2016. Hooray! Clay Matthews is moving back to his outside linebacker position. Look, Clay did an incredible job playing inside the last year and a half, but he is at his best when the Packers have him rushing the passer. With the return of Sam Barrington in the middle, Jake Ryan having another year of experience and rookie Blake Martinez already turning heads, the Packers are fine in the middle and thus giving Clay the opportunity to return to his natural position. The Packers are better off with Clay on the outside and it makes the entire defense better. The wild card at linebacker is veteran Julius Peppers. Will he show signs of age? The man continues to make big plays in big games and with the amount of depth the Packers have at linebacker, he doesn’t have to play as many snaps early on. What does this mean? It hopefully means a healthy, nasty Peppers all year long, and that is bad news for opposing offenses. The Packers have rookie Kyler Fackrell, Nick Perry, Datone Jones and free agent signee Lerentee McCray to throw in the mix as well. This may be one of the deepest groups at linebacker under Dom Capers, and one of the fastest as well. The one thing the Packers have missed at linebacker in the last decade is speed. Fackrell and Martinez both look to be able to cover well and that could very well help put the Packers defense in the top 5 in the league. Best in the league? If this group is not, they are extremely close. Last year, the question on this defense was the depth in the secondary and who they had to cover elite receivers, besides Sam Shields. Rookie corners Damarious Randall and Quentin Rollins gained tons of experience in 2015 and both showed flashes of brilliance. Randall ended the season with 3 interceptions and a game saving pass deflection against San Diego. Rollins ended the season with 2 interceptions, taking one to the house. By the end of the year, Randall (who started the year in the slot) was playing opposite of Shields on the outside, and Rollins was playing in the slot. With R&R playing in big games and getting opportunities, it only makes them better for 2016. How about the depth for this unit? Hyde, Gunter, Shields, Randall, Rollins, Goodson, and young talents like Josh Hawkins and Daniel Robertson trying to earn a roster spot, this group is beyond deep. Years prior, an injury to this group left us all gasping for air, but with the amount of talent the Packers have now, an injury doesn’t hurt as bad. If you didn’t know by now, Morgan Burnett had one of his finest seasons in Green Bay and HaHa Clinton-Dix took that Mike McCarthy “second year jump.” Burnett plays the run as well as any safety in the league, and after a slow start because of a calf injury, led the team in tackles the last five games of the season. Now, Burnett had zero interceptions last year, mostly because he spent a lot of time playing the run, but Clinton-Dix had two. Throw in the hybrid Micah Hyde in the mix with this group, and the Packers back-end is one of the best in the league. So, what is my bold prediction for the run defense? The Packers run defense will finish in the Top 10 in the league in 2016. With the size and strength of this defensive line, I would not be surprised if they finished higher than that. Clay Matthews and Julius Peppers will combine for 21 sacks. I think Clay Matthews is going to have a monster year on the outside and with the depth the Packers have, Peppers will stay fresh and be primed for a big year. My prediction here is that Blake Martinez will be the starting MLB by week 9 due to his leadership, tackling ability and speed. 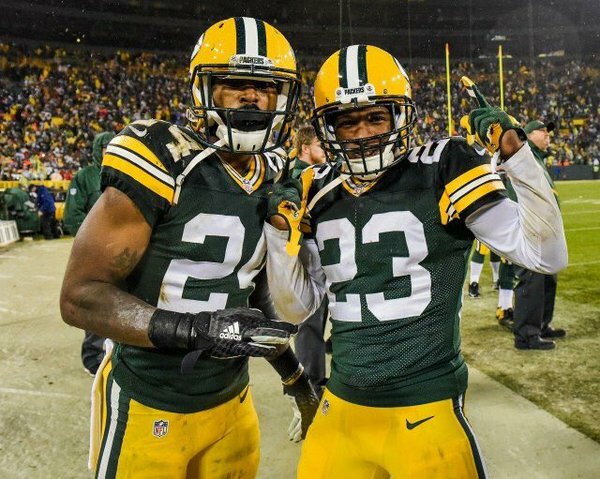 Last but not least, the Packers pass defense will finish the season ranked 4th in the league. There is just too much talent and speed for them not to be this high. Shields was having an All-Pro season before his injury, but it only allowed Rollins and Randall to get better. This unit will lead the NFL in interceptions and will be tough to throw on all season. With all this said, the Packers defense will indeed finish the 2016 NFL Season as a Top 5 defense, and call themselves Super Bowl Champions.